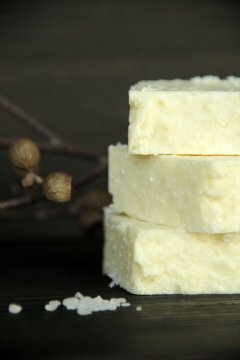 All our soaps are all natural, VEGAN and handcrafted in our work shop by us. We blend in small quality controlled batches to ensure natural goodness. We feel that by doing this, we are more aware and in control of each batch and how it turns out. All our scents are unique and created by us. We spend many hours combining only pure organic essential oils to create the perfect fragrance for our soaps. We do not use fragrance oils as the contain chemicals.